Pronounced es-Sweera in Arabic, this Atlantic port city literally sounds like the windswept, gentle town that it is. 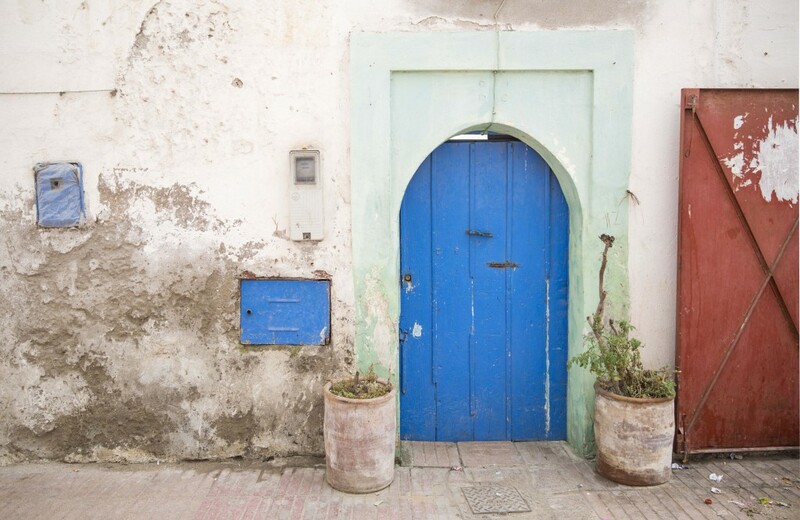 Considerably more relaxed and unhurried in comparison to the chaos of other Moroccan cities, Essaouira offers a refreshing escape – and a charming, free-spirited one at that. Merely a two and a half hour drive from Marrakech, this sleepy but vibrant fishing city is well worth a visit. 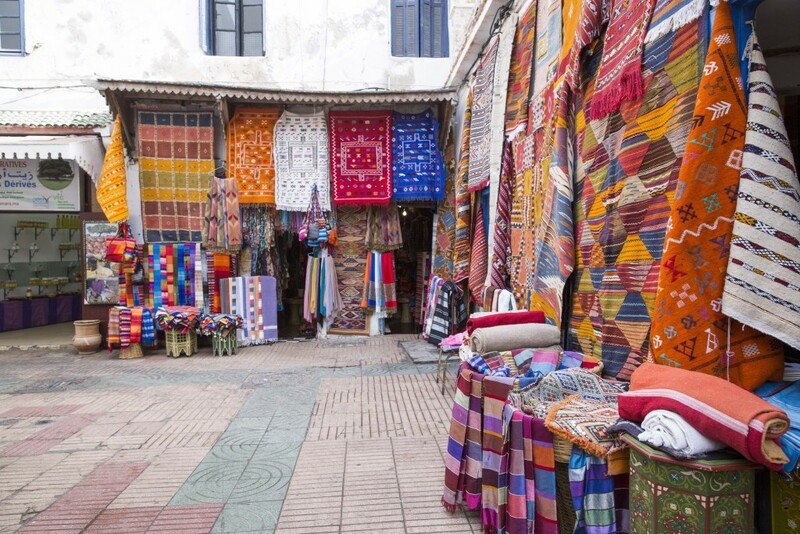 Here is a quick guide Essaouira, Morocco – the best things to see, do and experience. Climate: Mediterranean with oceanic influence – the mildest climate in Morocco. 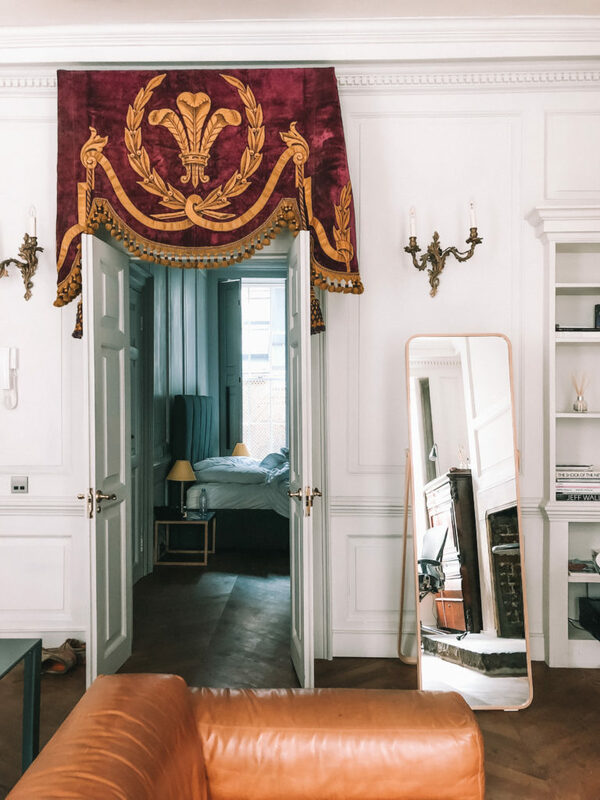 Compared to other Moroccan cities, Essaouira has a definite laid-back, free-spirited bohemian vibe – but do remember that Morocco is still a male-dominated, Islamic country – and it is important to respect the culture. Dressing conservatively and respectfully is a must, especially for women. Almost all English-speaking countries (with the exception of South Africa) require no visa to enter Morocco, and visitors can stay for up to 90 days. 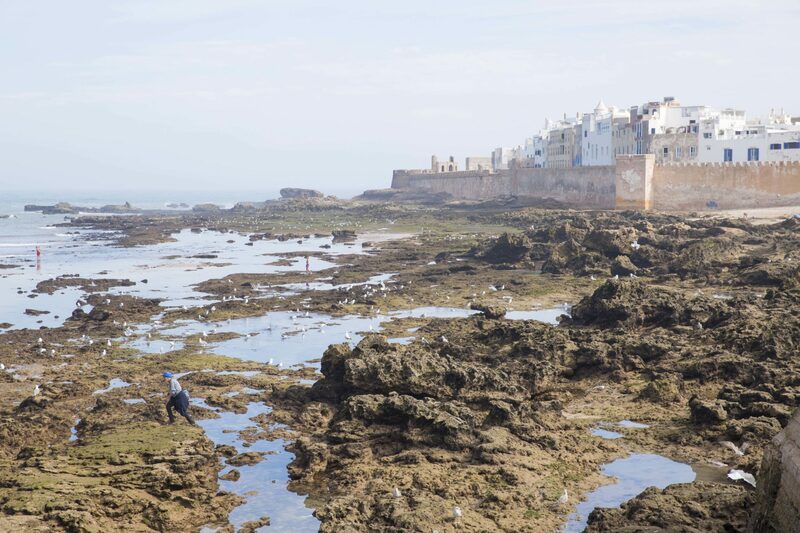 While Morocco is considered safe, note that Essaouira has many windy, smaller backstreets – avoid these at night. Until recently, Marrakech airport was the nearest for Essaouira – followed by a 2.5 hour drive on the road from Marrakech – but since May 2015, low cost airliner Easyjet opened a service from London Luton Airport, making it more accessible for weekend trips and short getaways. It is also possible to fly directly to Essaouira via Paris. You can either catch your own or share a ‘Grand taxi’ from Marrakech. There are also locally run coach and bus services. Within the walls of the old city, everything can be seen on foot – Essaouira is a very walkable city. While the area is supposed to be pedestrian only, do watch out for motor bikes that speed through the windy streets of the old town! Taxis can be taken outside of the medina. September is considered the best month to visit, when the winds often calm down, but weather is still sunny and warm. 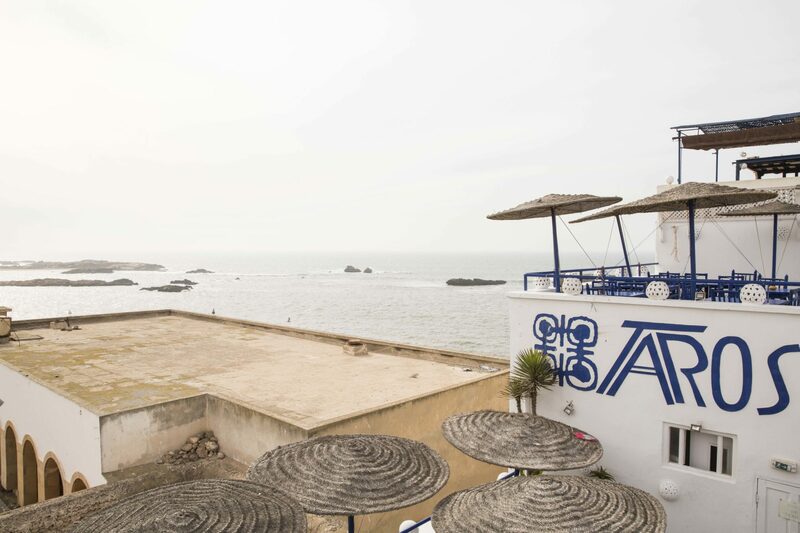 In June, Essaouira is host to a popular World Music Festival, so expect crowds. A well known tourist trap to watch out for are the goats in trees between Marrakech and Essaouira. While goats do climb argan trees naturally in the desert – the roadside versions are staged, and not authentic. Arabic and Berber are the officially spoken languages, however you will often hear French. 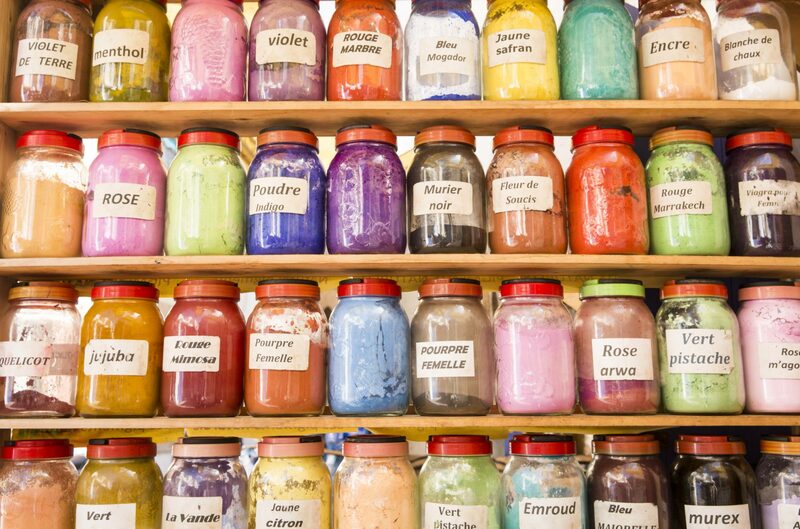 The following basic phrases will be useful for your visit. 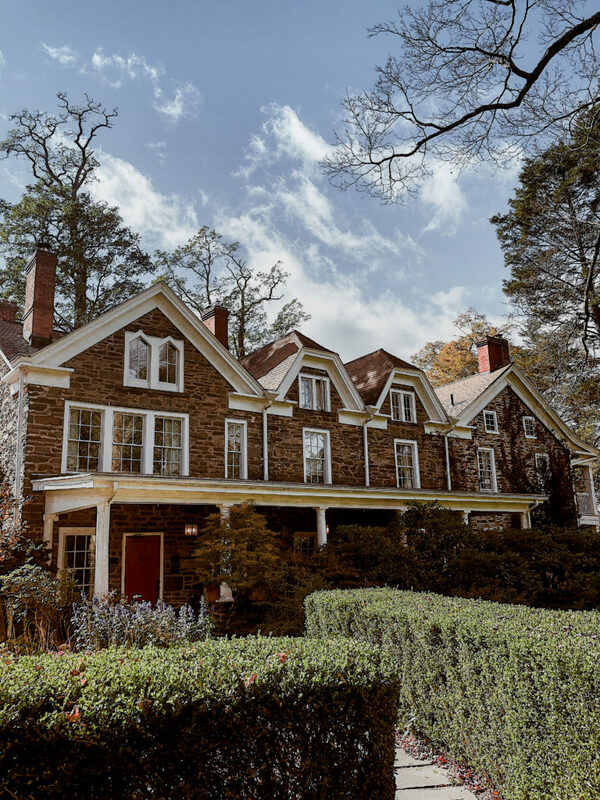 There are many things to see and do in this coastal gem. Here’s a summary of the must-do’s. 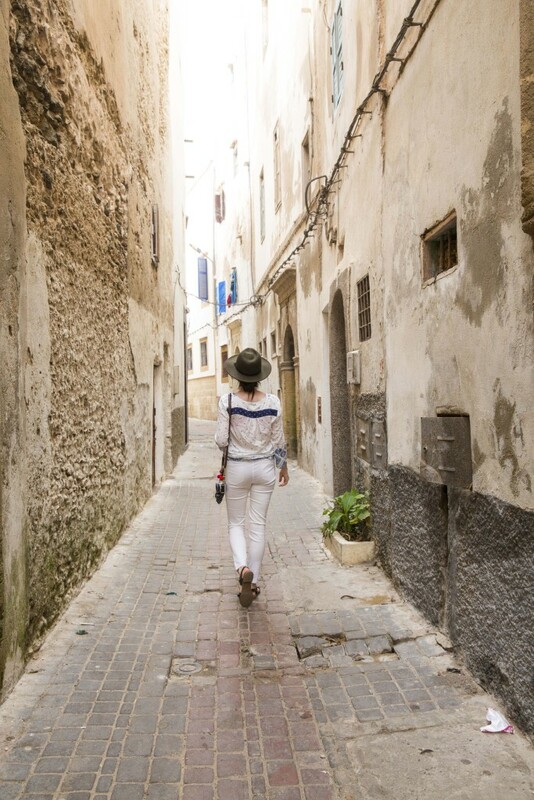 The old walled city from the 18th century is a UNESCO World Heritage Site – and makes for a beautiful wander. 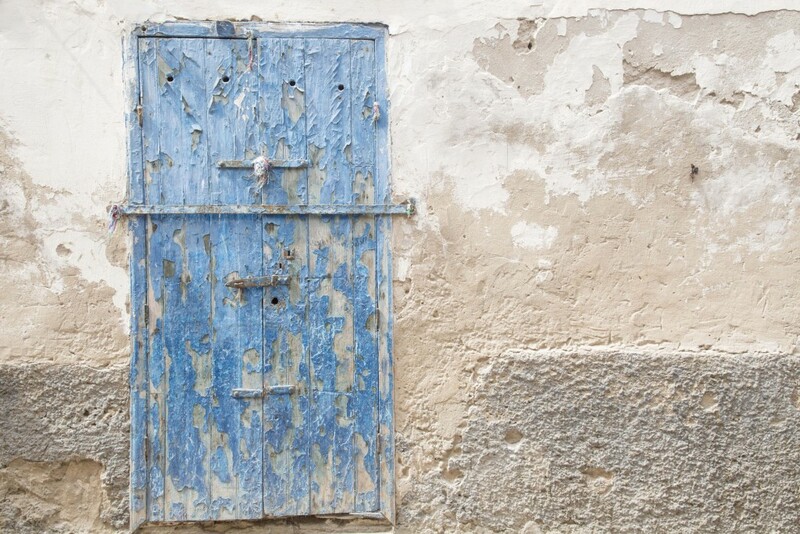 If you have a penchant for rustic, beautiful doors, you will want your camera here! Fishing is a major industry in Morocco – and Essaouira is at the heart of it. Be sure to visit this active, bustling port to watch fishermen bring in their fresh catch, boats being constructed and the bright blue boats bobbing in the bay. Pay DH10 to enter the tower and photograph the essential picture-postcard view. Visit the beach… and if you’re game, try windsurfing or kitesurfing. If history is your thing, visit Sidi Mohammed Ben Abdallah Museum to see Roman and other cultural jewellery, weapons, carpets and other cultural artifacts. The signature dish of Essaouira is sardines – have them grilled straight off the boat at the nearby fish stalls, or try the “bouleittes de sardines” tagine. 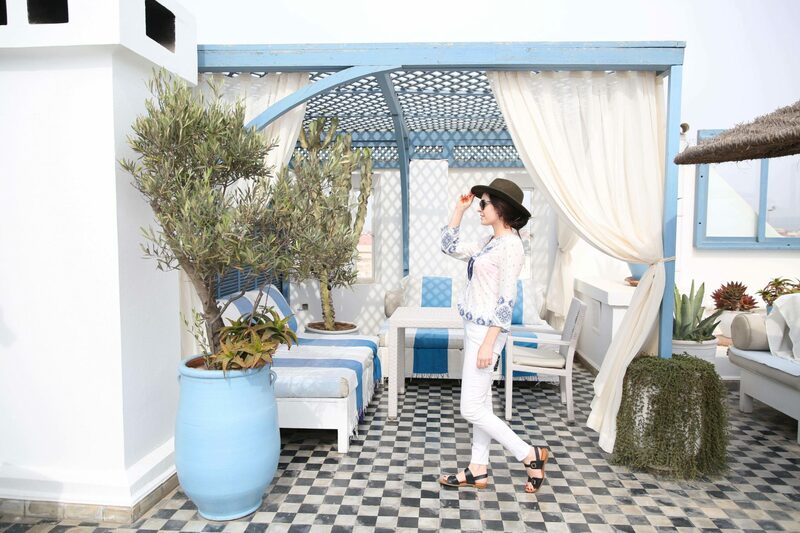 Consider having lunch at the rooftop terrace of L’Heure Bleu – considered the most sophisticated address in town – and take a dip in the pool, while overlooking the Essaourian rooftops. A beautiful place to unwind and relax, when not too windy! Visit rooftop bar Taros Cafe for a beautiful view of the oceans and old down, with cocktail in hand. Moroccan cuisine has come from a mix of Mediterranean, Arabic and Berber cuisine. Spices feature prominently – as does mint, olives, almonds, dates, olive and Argan oils, and couscous (tiny granules of durum wheat). Don’t leave morocco without trying a quintessential Tagine – the staple Moroccan dish, a slow cooked stew made with vegetables and meats. Consider visiting the village of Diabat, just south of Essaouira – where Jimi Hendrix is thought to have once spent some time (there is even a Hendrix cafe). 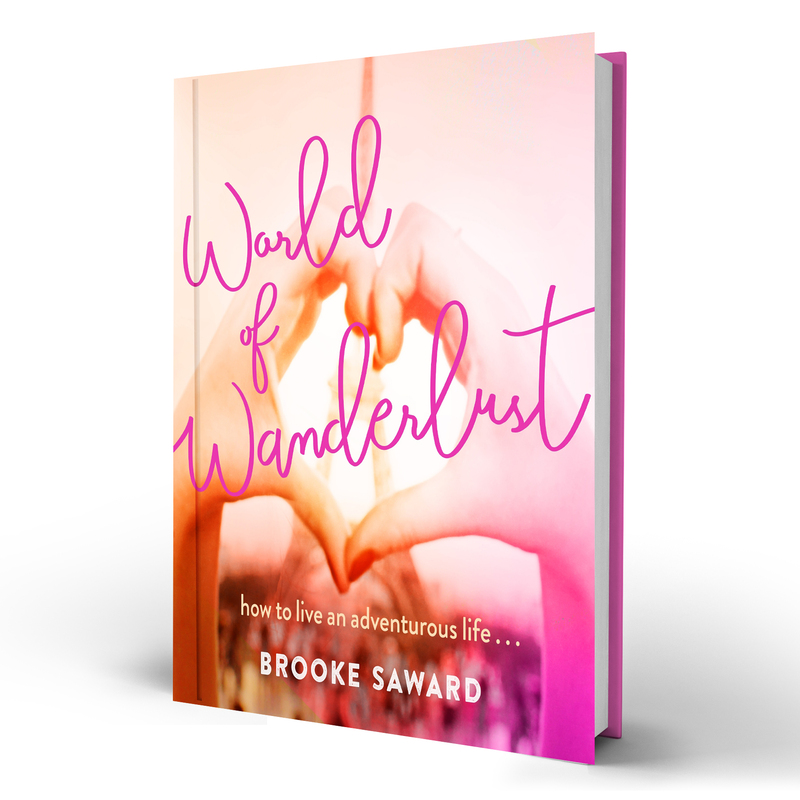 World of Wanderlust recently travelled to Morocco as a guest of By Prior Arrangement. Great pictures as always! Morocco was such a surprise for me. I can’t wait to go back! How cool! 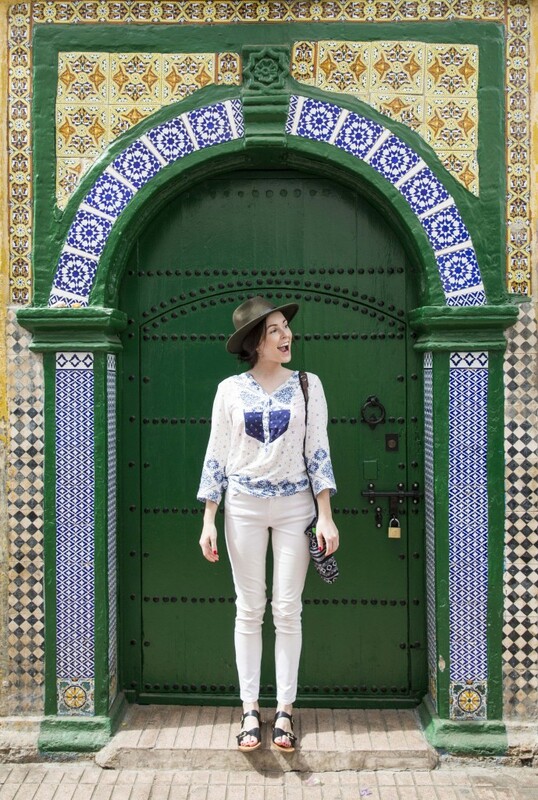 Morocco looks so amazing and I have a feeling I’ll be adding it to my 2016 destination itinerary :)) love the pics! Such a great guide, Shukran! I’ve been wanting to go to Morocco, but I haven’t had the chance yet. Hopefully, I will be able to go soon enough. What a beautiful city and great quick guide! I went to Morocco (Marrakesh) last year and can’t wait to go back to see more! I’m thinking of traveling to Morocco in Jan/Feb, so this is a great start to my planning! Thank you! Hi Emma, Essaouira is not somewhere I have heard of before. 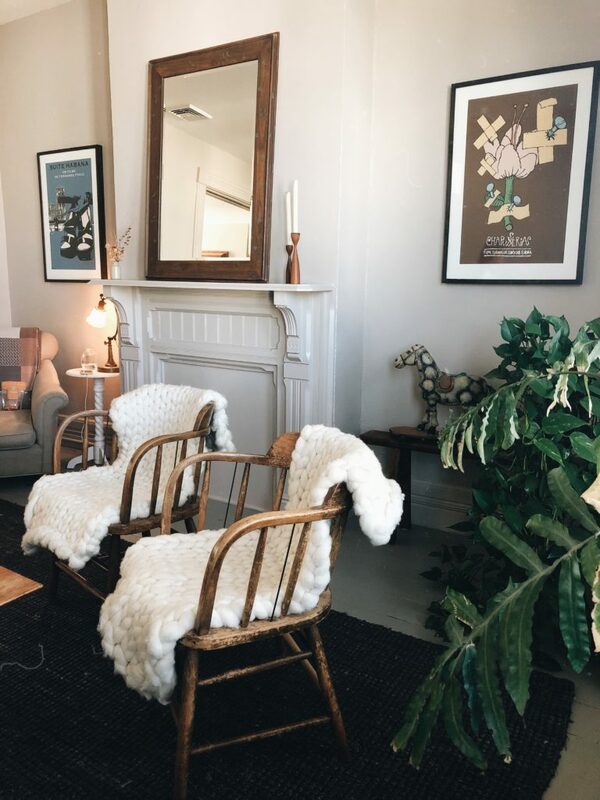 Looks like a nice chilled out place to spend some time. Just starting to look into places in Morocco to travel to, so good timing, thanks for the tips! It looks so beautiful! Now I really want to go to Morocco! I’ve been dreaming about this city ever since I started researching Morocco as a potential destination. Love the look you wore in Morocco and seems to be really amazing there!